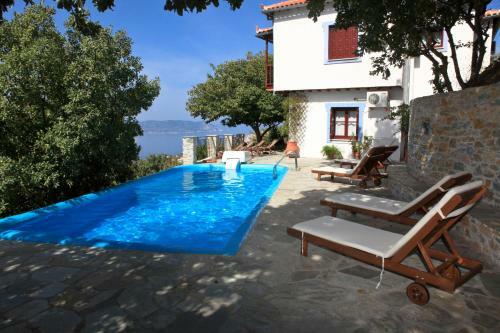 Villa Maria O is located in Glossa, Skopelos. Villa Maria O offers to its guests garden	and outdoor swimming pool. The rooms offer sea view, pool view, city view, mountain view and garden view. Amenities of the rooms include air-conditioning, tv, fridge and more. Free wireless internet is available in all areas. Visitors can bring their pets.